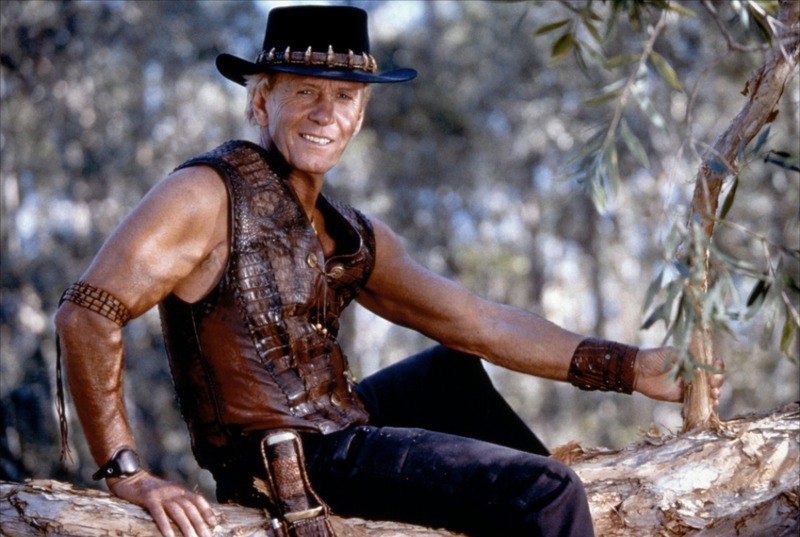 It's been 30 years since the iconic movie Crocodile Dundee was released, and there's even been murmurings of a remake with Chris Hemsworth taking over the lead role from Paul Hogan...So to mark this 30 year anniversary we have put together our very own Crocodile Dundee Kakadu Tour which follows in the footsteps of the legendary character Mick 'Crocodile' Dundee. Now this tour is definitely going to be a step up from Mick's 'Never Never Safaris' and there won't be any harming of the wildlife and less croc attacks (i.e. none) but.... you will see all the beautiful country Mick travelled through on his journey through the Top End. The tour primarily traverses Kakadu but we'll also dip into Arnhem Land for a half day as well. You'll need at least four days to see most of the locations in the film but you can easily extend that out to five or six if you have the time. On day one of our Crocodile Dundee Kakadu Tour we'll depart Darwin early and head straight out to Kakadu National Park via the Arnhem Highway. Our first stop today will be at Ubirr in northern Kakadu, this is the scene where Mick climbs to the top of a rocky outcrop, then points out in the distance and says "That's Never-Never Country". Here we will spend time viewing some of Kakadu most spectacular rock art. Next we'll cross the East Alligator River an travel into Arnhem Land. 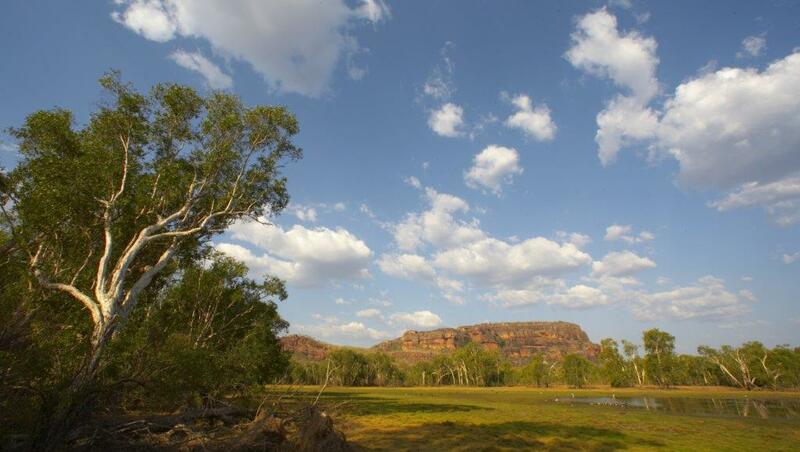 On this part of the tour you'll probably recognise some of the Arnhem Land escarpment from the the start of the film as well as the picturesque Red Lilly Billabong. It's on this road to the Indigenous community of Gunbalanya that the scene where Mick hypnotises the water buffalo took place (more on the buffalo later...). Once in Gunbalanya we'll head out with an Indigenous guide to have a look for some bush tucker. Later in the day we'll head back into Kakadu and set up camp. Relax as your guide cooks dinner on the camp fire. Sleep tonight in a swag beneath a million stars. This morning we'll get up early and go for a walk around Anbangbang Billabong as Mick does on day 2 of his Kakadu adventure. It's another picturesque spot with Nourlagie Rock as the backdrop and a myriad of bird species in and around the billabong. After a walk through the paperbark forest we'll jump on the Kakadu Highway and head south to Cooinda. Upon reaching Cooinda you're going to recognise this next waterway from the movie, it's the famous Yellow Water Billabong. Here we'll embark on a 2hr cruise through the water lilies where you'll have the opportunity to view wild salt-water crocodiles in their natural environment (and from the safety of the boat). Yellow Water is a thriving ecosystem full of flora and fauna. After the cruise we'll return to camp where you guide will tell a few wild tales around the camp fire. This morning after packing up camp we'll make our way further south to the bottom of Kakadu to a place called Gunlom. Gunlom is extremely recognisable from the movie, you'll know it as soon as we drive in, it's the big waterhole where Mick spears the barramundi and cooks up some bush tucker. Here we will set up camp and spend the whole day. The huge body of water below the waterfall at Gunlom is a great place to swim. You can even snorkel here too and see a variety of underwater life such as fish and fresh water turtle. A 15 minute climb to the rock pools above the falls provides sweeping views across the bush lands of Kakadu. It's another nice place for a dip and also offers great bush walking and bird watching opportunities. Today we'll pack up camp for one last time and make our way back to Darwin via the Stuart Highway. After a morning stop and swim at Moline Rockhole we'll say goodbye to Kakadu as we leave the Park and travel towards the old gold mining town of Pine Creek. The last stop today on our Crocodile Dundee Kakadu Tour will be for a traditional Northern Territory pub lunch at the Adelaide River Inn. Here in (or rather ON) the bar stands 'Charlie' who is the actual buffalo from the movie! After the movie was shot Charlie resided here for many years until his death of old age. He was then stuffed and placed on the bar for everyone to admire. After lunch and a picture with Charlie we'll continue back to Darwin where the tour will conclude at your chosen hotel. For more info about this and many other Kakadu Tours please contact us on (08) 8927 5500 or email us at [email protected]. We hope to see you in Kakadu soon!